Mid-January is the time for pushing forward on resolutions – a fitting time, then, for a workshop pushing on with the inclusion agenda at the European Space Agency (ESA). Opened by the Johann-Dietrich Wörner, and by Franco Ongaro, Director of Technology, Engineering and Quality (D/TEC), and Head of ESTEC where the workshop took place the head of ESTEC where the workshop took place, the workshop addressed ideas on LGBT-specific issues in STEM that could be tackled, and brought experts, interested ESA employees, and other European-wide bodies together to develop ideas on diversity, intersectionality, inclusion, and belonging. The European Space Agency (ESA) has committed to making strides towards inclusion in all stripes in their staff body and projects. In collaboration with Pride in STEM, ESA Chief Diversity Officer Ersilia Vaudo has opened a series of discussions with a panel focused on methods for thinking about gender, gender identity, and expression of sexual orientation inclusion. ESA, and Pride in STEM, believe it’s important that any diversity initiative works with, not alongside, initiatives for other marginalised groups, creating a positive momentum beneficial for all within a workplace and promoting fairness across the board. By critically addressing and developing measures to implement, to ensure any individual can feel that they belong, ESA is part of a world-wide body of STEM organisation, industries, and academic institutions striving create a working environment free from discrimination. During the workshop, different invited speakers brought different issues to the table. 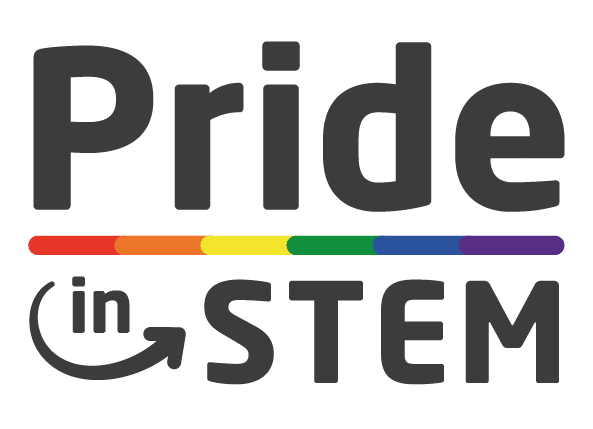 The discussions covered personal insight about being LGBT in STEM, with a focus on trans issues, perspectives and insights from international private sector STEM companies and a leading learned society in the UK. A talk on ‘Queering the Science Museum’ highlighted the importance of creating positive, inclusive, narratives that can be discussed outside ESA, by science communicators and educators, in order to promote applications from underrepresented communities. The workshop also featured a lively debate about tackling discrimination, ways of talking about problems, and analysing the changes we are witnessing in the sector. The five panelists were headed by the chair of Pride in STEM Dr. Alfredo Carpineti, and event was organised thanks to the tireless work of Ersilia Vaudo supported by Giulia Morando, Pedro Pablos, and Salim Ansari. Introduced by Johann-Dietrich Wörner, and Franco Ongaro, four fantastic speakers joined Alfredo in providing expertise with talks and the panel discussion. We heard from David Pollard, the executive director of Workplace Pride Foundation, on the world-leading work organisation does. The Foundation represents the LGBT networks of more than 60 prominent companies and organizations, strives for greater LGBT workplace inclusion internationally, and was responsible for the creation of the Declaration of Amsterdam. He has worked in the international corporate world for 30 years, and for the past 15 years has been dealing with LGBT issues on an international level. Dr. Sheila Kanani, the Education, Outreach and Diversity Officer at the Royal Astronomical Society, discussed what the RAS has been doing in terms of promoting inclusion across the board. She is an astronomer and worked on the data collected by the Cassini spacecraft. In 2014, she won the Inspiring Women in Technology award. She is an exceptional communicator, and has worked in improving the representation of Women in Astronomy, as well as engaging underrepresented communities. Dr. Kanani is currently writing her first book. Dr. Ashley Spindler, astronomer from the University of Hertfordshire delivered an important talk on how everyone benefits from inclusion. Taking examples from her own work, she showed how seemingly specific policies can improve the lives of many. Ashley is a phenomenal researcher, activist, and a prolific online-content producer. She is also a former r&d engineer for a space SME. And, we’re are happy to announce that she is the newest trustee of Pride in STEM. The panel was concluded by Ellie Armstrong. A Ph.D. student at University College London, Ellie focuses on how science is represented in science museums. Having studied the astrochemistry of Saturn with the Cassini team at Oxford University, Ellie now works on how we educate folk about space science in museum galleries. Her work uses queer feminist theories to question who and what we display in science museums. She uses guided tours (such as Queering the Science Museum), podcasts (including ‘Transit Spectra’ and ‘Behind the Glass Cabinet’) and art exhibitions (including ‘Tracing Wastelands’) to bring these academically grounded discussions to non-academic audiences.